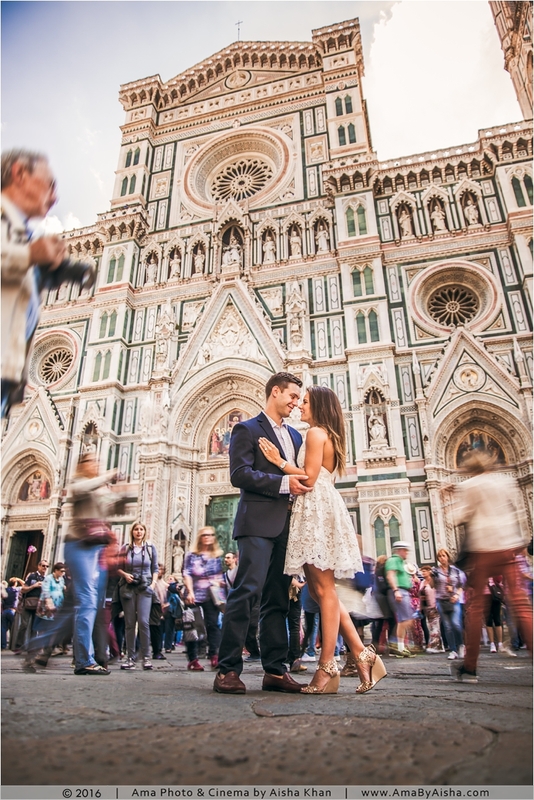 I hope you love this Florence engagement shoot! 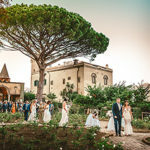 Marissa and Jeremy chose to marry in Castello di Meleto, a gorgeous castle in Tuscany. 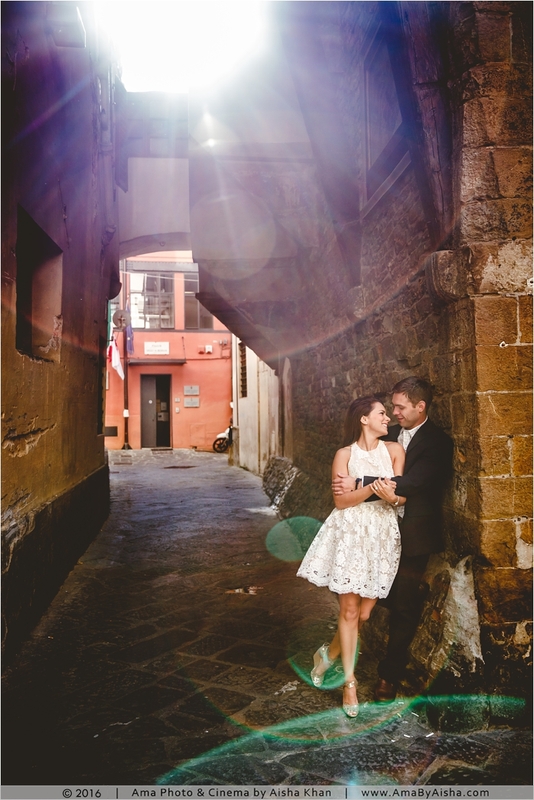 But to make the best out of their destination wedding, they also scheduled time for some fun in Florence. 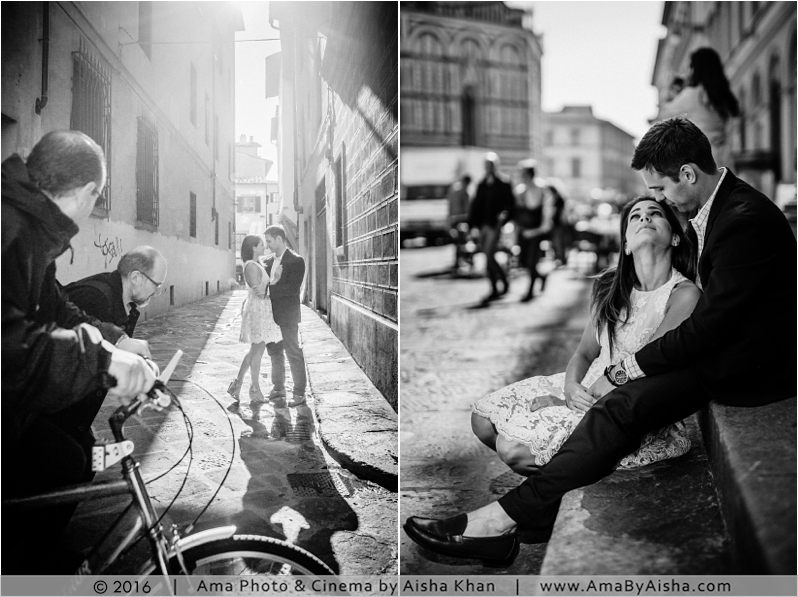 So we took an early train from Rome to Florence the day before the shoot. Having had no time for location scouting, I relied on TripAdvisor and Google Maps’ street view to plan out our shoot. 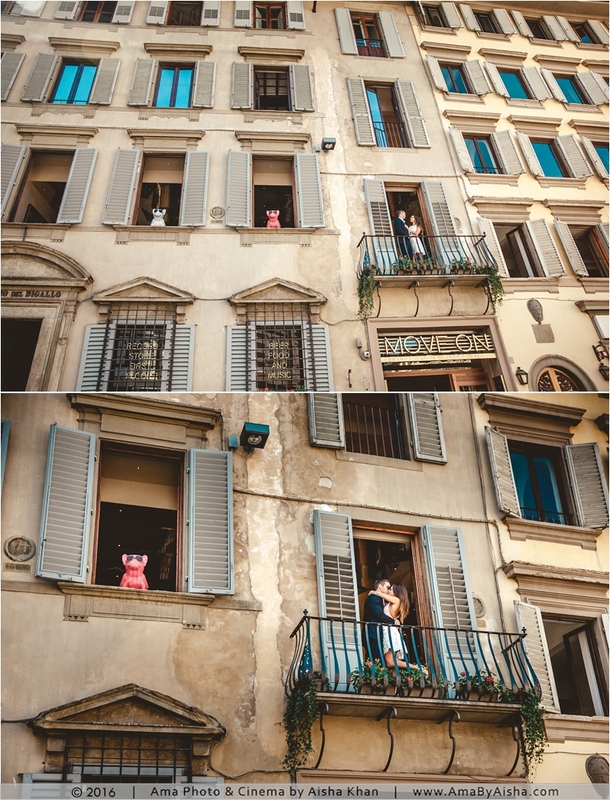 The goal was to start at Piazza del Duomo, then head to Piazza della Repubblica, and finally (if time permitted) end the shoot at Ponte Vecchio. We never made it to the bridge. But even so, we still got some awesome photos! Enjoy! And be sure to look at their wedding photos as well here. This shoot and wedding were done in collaboration with Hoffland Studios.